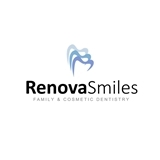 Renova Smiles (Falls Church) - Book Appointment Online! Our mission as a family and cosmetic dentistry is to provide you a high quality and outstanding customer service, in a relaxing and friendly environment. Our patients' lifetime health is our top priority, and our focus is to provide the best long-term oral care. We aim at becoming the best and most convenient dental office in America. Providing amazing smiles have a much greater impact in people's life than most would believe. A beautiful smile can restore your confidence, comfort, and appearance. I? am not one to like the dentist but after visiting Renova Smiles, I? loved my experience! Completely recommend patients to come here. It was very pleasureable Everyone on staff there was extremely charming and professional.